The original Glut32 written by Mark Kilgard was ported over by Nate Robins. And you can get the ported Glut32 Binaries if you want to see it. This is the freeglut download links. This was in reference to Windows and Linux packages according to their website. 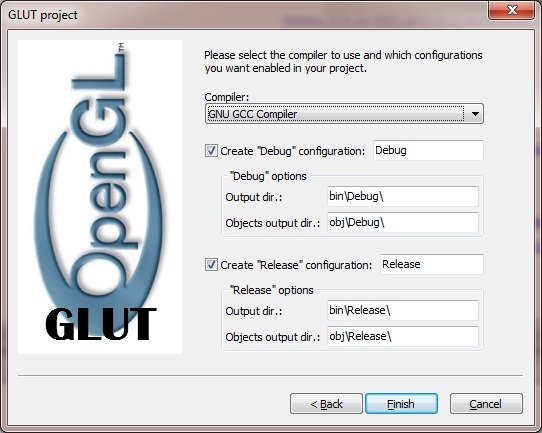 When Glut32 was ported over it stopped being updated in 2001. So some folks decided to recreate it and named it FreeGlut. The interesting part is freeGlut and Glut32 can be installed just about the same way for Code::Blocks, with the exception that you would not have to edit the two scripts if your installing Glut32. 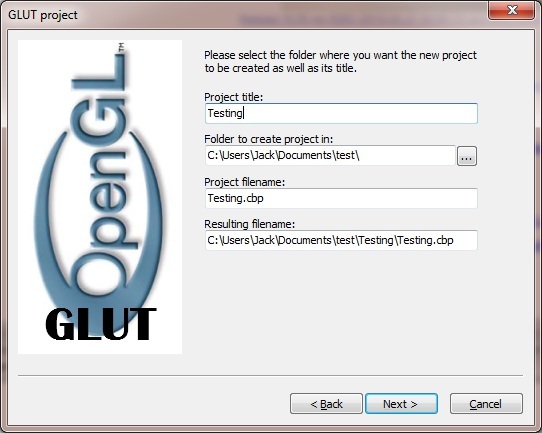 FreeGlut and Glut32 are a set of functions for use with OpenGL. 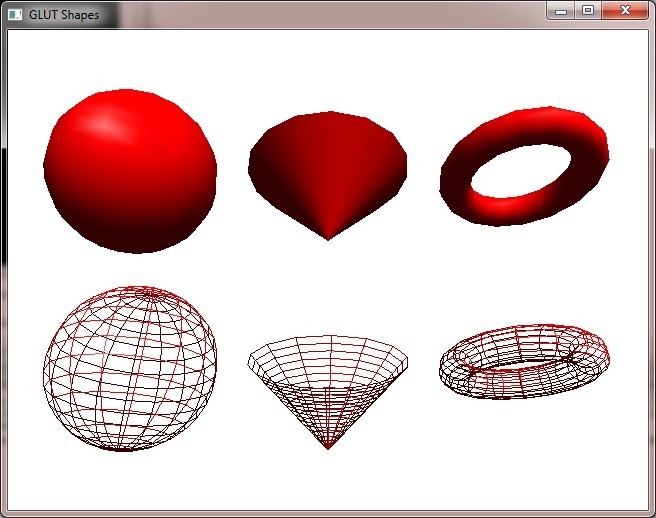 It has made graphic software a little easier to code when it comes to programming OpenGL with 3D in mind. This tutorial was demonstrated to work under as well as assumes that your using Microsoft Windows 7 64-Bit. However, it should work on any windows system ( as long as Code::Blocks and OpenGL are supported on that Operating System ) as well as Linux. 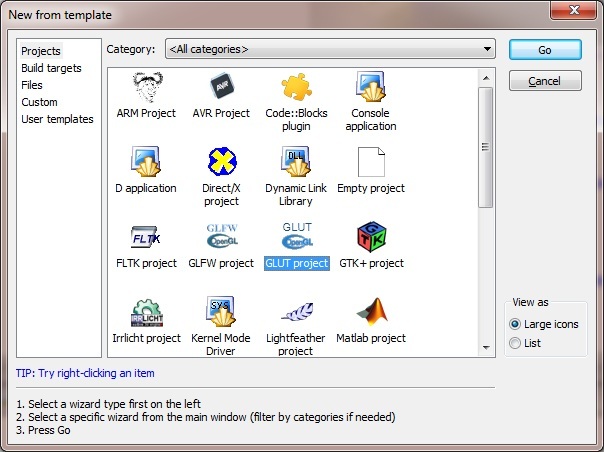 In this tutorial you will see the path reference as the 64-Bit style of the folder ( x86 ). Notice the ( x86 ) is missing. EDIT ( December 4th 2011 ) : Because I am constantly being asked why they cannot see the files to edit that I listed below, well keep in mind its about file extensions that are hidden. 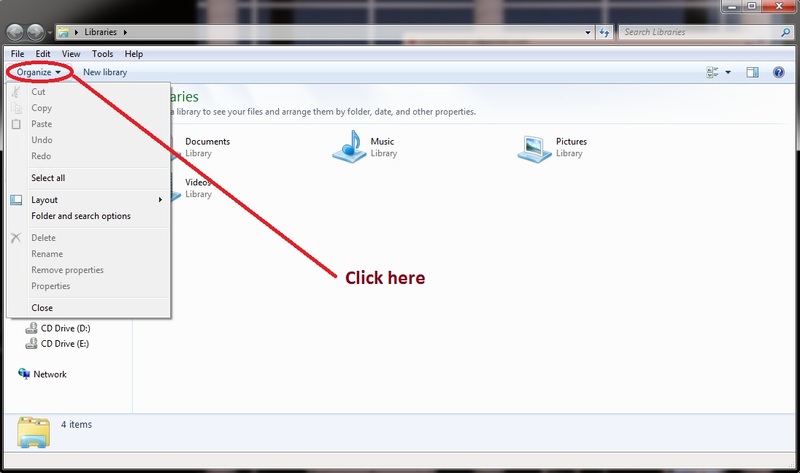 You can change your extensions to show up in your Windows Explorer ORGANIZE. So its ORGANIZE --> FOLDER AND SEARCH OPTIONS --> VIEW ( TAb ) and then you should see where its saying to hide the file extensions. You do NOT want to hide your extensions except your protected system files. Leave those hidden. 1.) Code::Blocks You can install the default settings or check mark ALL boxes and install everything. Either way, it's up to you. I prefer to install everything just in case. Think of freeglut as if it was the Glut32 Binaries, which the original source code to Glut32 was never available since its proprietary. 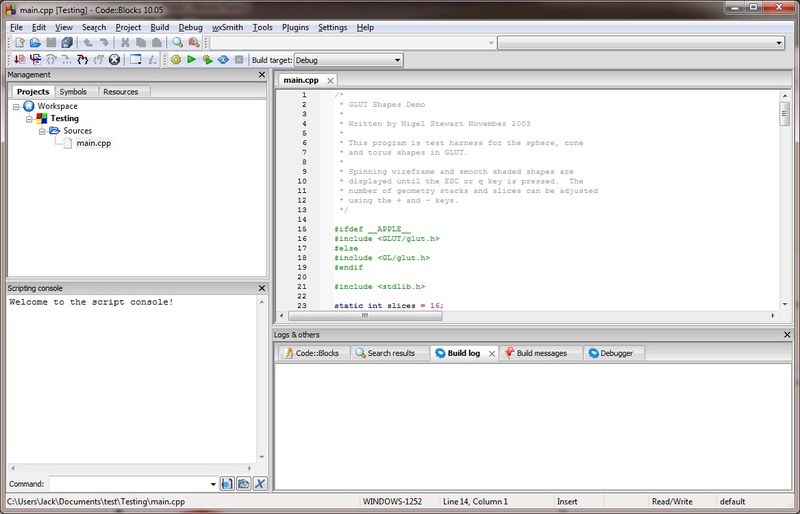 But once you get the GLUT demo working, you can play with the freeglut source code from their website. You can however still play with the Ported Glut32 source code. It's latest stable release was back in 2001 though. Once you install Code::Blocks, then you can download and unzip the freeglut ZIP file, which will contain this..
Move all of those files and folders into the C:\Program Files (x86)\CodeBlocks\mingw folder. ( This is the folder where you see Include and Lib folders. This is important. ) If it asks you to overwrite folders, that's OK, say yes. It will not overwrite anything important. Now copy, do not move, just copy the freeglut.dll file that should currently be in your C:\Program Files (x86)\CodeBlocks\minGW folder into your C:\Windows folder. The reason to copy this into that folder is because C:\Windows is in your path, and to keep the confusion down, It is easier to just copy it to there. You can always change it later. It would be highly advised that you add the C:\Program Files (x86)\CodeBlocks\MinGW\bin folder to your path as well. So now that you have copied the correct files and are ready to setup Code::Blocks, go to this folder : C:\Program Files (x86)\CodeBlocks\share\CodeBlocks\templates\wizard\glut and in there you will see a file named wizard.script. Its this file where it is looking for Glut32. You just simply replace any reference to Glut32 with freeglut. And it really is that simple. NOTE : USE NOTEPADD or NOTEPADD ++, do Not use Microsoft word or WordPad. GlutPath = dir; // Remember the original selection. This line "project.AddLinkLib(_T("Glut32"));" should now say "project.AddLinkLib(_T("freeglut"));"
Also, this line "if (!VerifyLibFile(dir_nomacro_lib, _T("glut32"), _T("GLUT's"))) return false;" should now say "if (!VerifyLibFile(dir_nomacro_lib, _T("freeglut"), _T("GLUT's"))) return false;"
NOTE : Because of windows Protections, it will force you to save it somewhere else. 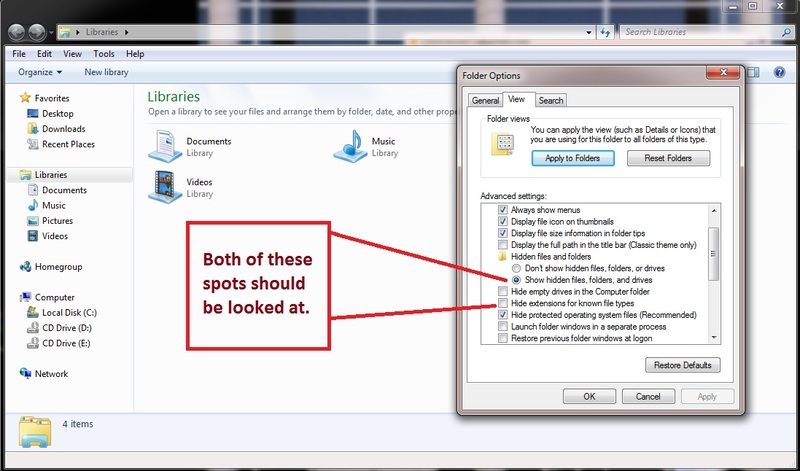 Just save it to your desktop and then MOVE the file into the same folder as the old one and overwrite. It will ask for permission, click continue. ( or yes on some machines ). Now.. one more file to edit and your done..
See this line "<Add library="Glut32" />" should now say "<Add library="freeglut" />"
This page was last modified on 20 August 2015, at 07:16.